Downloads & reviews of the best betting apps. There are just so many Android , iPhone and other mobile apps for placing bets – and you can find them all here. Browse objective betting app reviews from the research & opinions of real players. Want to know more? Read on for more information about these top-rated betting apps below, including links to our detailed reviews. This one doesn’t disappoint either, ranking in our shortlist of the best betting apps and not only because of the new customer offer. As well as being one of the oldest names in UK bookmaking, we like that BetVictor has a wide range of very competitive odds across the board when compared with the other best betting apps that also appear in this guide. With such an easy-to-use interface, you’ll see why so many people choose to open an account here. 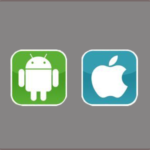 The BetVictor app is most popular on the Android and iOS platforms. Their ads say that Paddy gives you more and they live up to this claim with really good ongoing promotions and joining offer. This, combined with the great mobile features makes PP rank highly in our best betting apps review. We particularly like their money-back specials and competitions such as last man standing. Add to this the live event streaming and you have one of the best betting apps around. This betting app is for Android and iOS. Coral is also well-justified in making this top betting app list, with everything a casual or expert punter could ask for, delivered on a simple to use interface. For new customers, offers always seem to be particularly good and it keeps you coming back. After signing up we found that there are further incentives such as price boosts which keep things fresh & interesting. 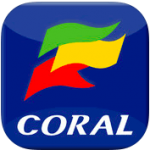 The Coral app is available on the main mobile devices like Android and iOS. 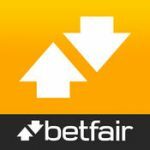 As well as offering fixed odds on many markets, Betfair is also a betting exchange or person-to-person site where punters make their own odds with no bookmaker involved. They also have a decent fixed odds book too which makes it very popular with punters (see the Betfair Android app review). The BookieBoost app gives you quick access to all of the top bookmakers’ free bets from one central app, plus daily accumulator tips and a host of betting tools like football & racing calculators and results. 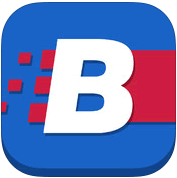 BookieBoost is available for Android (most models) and iOS (iPhone & iPad) only and you can get it from this link. If you feel our choice of the best betting apps can be improved in any way, we’d love to hear from you. If so you can help by contributing your own review and sending it to us. What you bet on is up to you at the end of the day, but we’ve found this football predictions site to be a useful site for football predictions and betting tips. For other forms of gambling, there’s onlinegamblingbible.com. Established in 2002, Bettingappstore.co.uk is the trusted bet review and comparison site for finding information about betting apps, the best betting sites, free bets and offers as well as current betting bonuses. We review the major bookmakers and person to person resources to keep you informed about the latest signup deals and best odds on sports as well as casino bonuses from the best betting apps and sites. This is the starting point to find the best betting sites and apps on the web. Also look around the site to find mobile betting apps compared including the best iPhone betting app & best Android betting app reviews. Australians can find more localised Australian sports betting apps for the Aussie market at bettingappreviews.com.au.